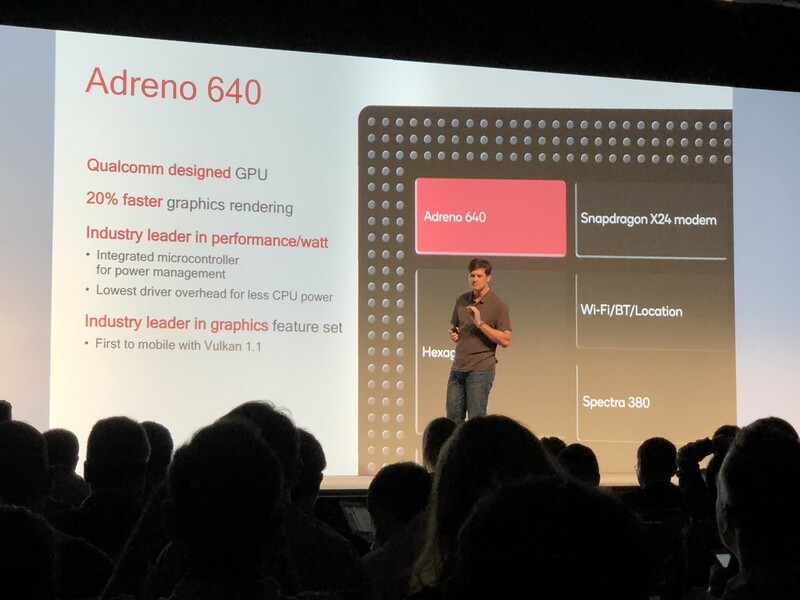 The Qualcomm Adreno 640 is a smartphone and tablet GPU that is integrated within the Qualcomm Snapdragon 855 SoC. The chip will be available from early 2019 and will be used mainly in high-end Android devices. According to Qualcomm, the Adreno 640 GPU offers a 20% improved performance over the Adreno 630, its predecessor, which is integrated in the Snapdragon 845 SoC. The enhanced performance is achieved by the Adreno 640 having 50% more FP16 and FP32 compute units (ALUs) than the Adreno 630, while its 7 nm FinFET manufacturing process makes it 20% more efficient too. The Adreno 640 will also support the Vulkan 1.1 API, something which is possible for other Adreno 600 series GPUs too. LG G8s ThinQ: Qualcomm Snapdragon 855, 6.2"
Samsung Galaxy Fold: Qualcomm Snapdragon 855, 7.3"
Vivo Apex 2019: Qualcomm Snapdragon 855, 6.4"
ZTE Axon 10 Pro: Qualcomm Snapdragon 855, 6.47"